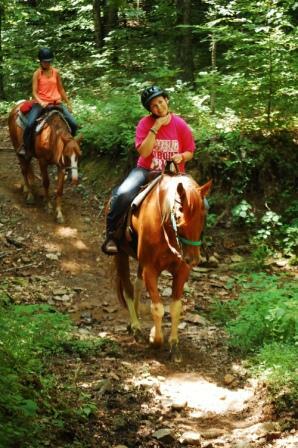 -One Hour Guided Trail Ride: Great for beginners! 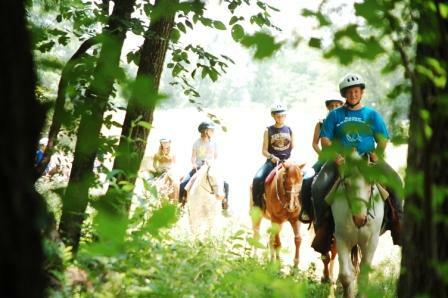 Experience a beautiful walking trail ride that meanders through fields and creeks on one of our seasoned trail horses! Riders must be 10 years old. Includes basic instruction. $30 per person. 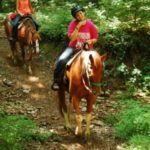 -Half Day Ride: Ride for three hours as we head into the Shawnee National forest, crossing creeks and following sandstone bluffs. Bring a lunch to enjoy along the trail or order pack lunches from our catering department. For riders 12 years old and up. Includes basic instruction $60 per person. 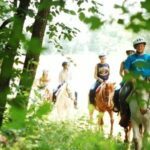 -All Day Ride: Plan for a full day in the saddle as we head out to explore the Shawnee National Forest! We’ll provide a pack lunch to enjoy at a scenic point along the trail. Recommended for riders with previous riding/experience. Ages 12 and up. $85 per person. 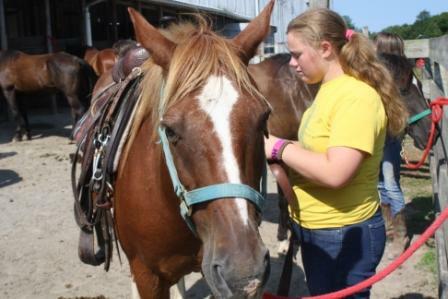 To schedule a ride contact stables@ondessonk.com or call (618) 695-2489 ext 127. 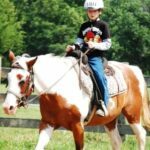 –Half Day Overnight Ride: Start out the afternoon and enjoy a picturesque ride to Durbin’s Barn, built in the 1930s. Once there you can set up your sleeping bag in the loft of the restored Durbin’s barn or out under the stars. We’ll cook dinner over the campfire and end the day with s’mores. In the morning we’ll cook breakfast over the fire, ready the horses, and pack up before we ride back to the stables. Must be 12 years old. $105 per person. 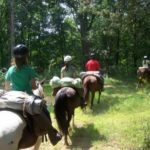 –All Day Overnight Ride: Ride out in the morning to experience the trails of the Shawnee National Forest. 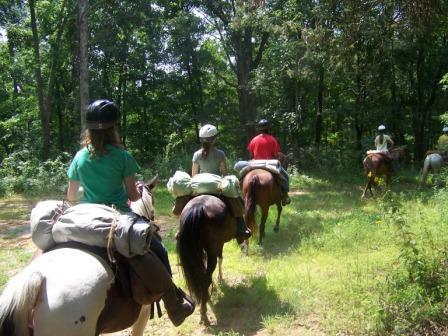 We’ll stop for a trail lunch along the way before riding on to our overnight spot at Durbin’s Barn. We will cook dinner and breakfast over the fire, enjoy a night under the stars, and head back in the morning. Must be 12 years old and previous riding experience is recommended. $135 per person. 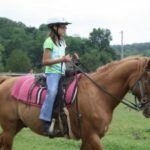 -Horsemanship Program: Learn all about horses with this program! 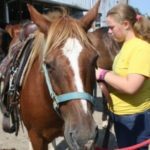 We will have a horse sense class to learn about horse care and grooming followed by a short arena lesson and trail ride. Three hours total. Must be 10 years old. $60 per person. -One Hour Lesson: Visit us and take a one hour lesson from a CHA certified instructor. 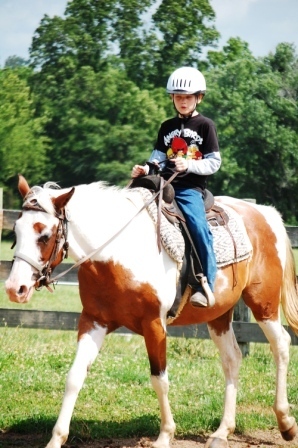 Riding lessons may be English or Western and can be customized to your individual needs. $30 per person. 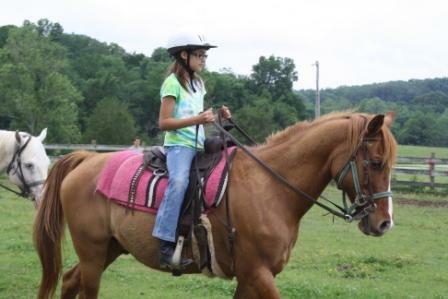 To schedule a lesson or register for a program contact stables@ondessonk.com or call (618) 695-2489 ext 127. 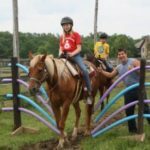 – Join us for a horse slumber /birthday party. 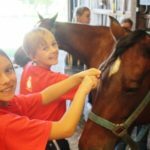 Bring your friends to learn about horses, groom them, take a lesson, or go for a ride. Hang out with a wrangler around the campfire as you cook dinner over the fire and make s’mores before heading to bed in the sleeping lofts of the barn. Perfect for scouts or a birthday party! -Meet the horses. Bring all ages, even the little ones to meet the Ondessonk Herd. 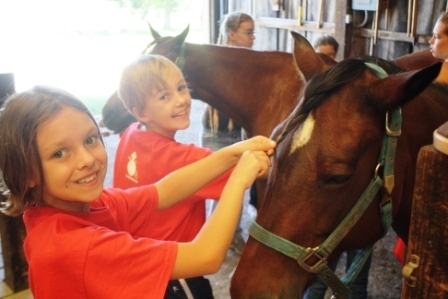 Take a pony ride, learn grooming, or paint a horse. Bring a group and make it a complete trip with a hay ride and campfire! -Plan a visit to camp! 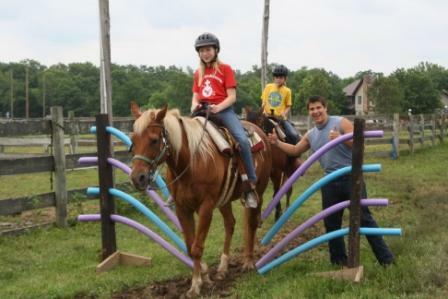 In addition to our horse programming, try our other program options like the zip line, ropes course, hikes, swimming area, archery, and more. With meal and lodging options, you will be set for a great time!